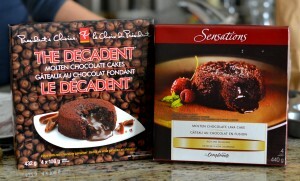 For this taste test we bought The Decadent Molten Lava Cakes by President’s Choice ($6.99/4 servings) and Sensations by Compliments Molten Chocolate Lava Cakes ($7.99/4 servings). 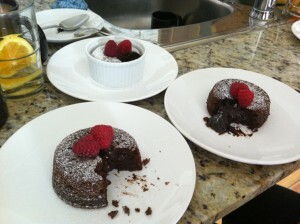 We then made our own molten lava cakes and tasted all three against each other. The frozen versions come pre-portioned in plastic cups that you pop them out of onto a baking sheet for baking. That’s it! 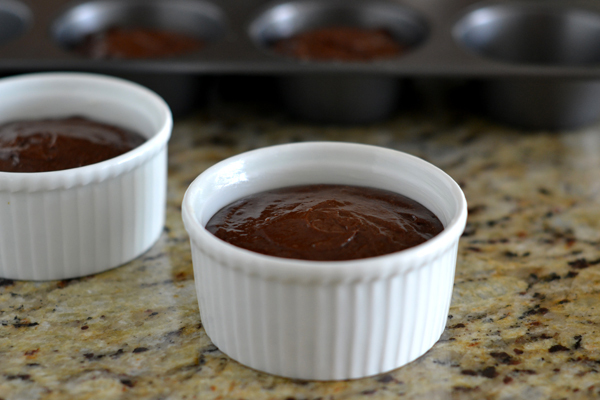 Instant lava cakes in 15 minutes. The homemade version is quite a bit more involved (obviously, since we are making it from scratch). 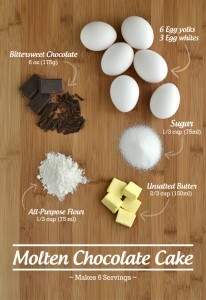 There are a number of steps such as melting the chocolate, separating the egg whites and beating them into stiff peaks and folding the ingredients together. I have to admit, it does take quite a bit more effort. But with everything homemade, you have the ability to control the ingredients that go into it. There aren’t a lot of ingredients that are needed for molten lava cakes but I definitely wouldn’t skimp on the chocolate – buy a good quality one like Lindt or Valrhona. Preheat oven to 425 degrees F (220 degrees C). 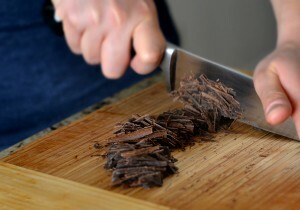 In a heavy pot, on low heat, melt chocolate and butter together. Cool slightly. 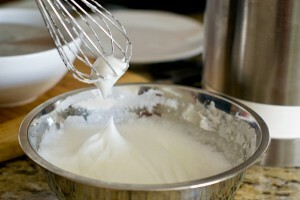 Beat together sugar and egg yolks with an electric mixer until thick and creamy, about 4 minutes. Pour in chocolate mixture and beat together for 5 minutes. In a separate bowl, beat egg whites until stiff peaks form, about 3 minutes. Fold into mixture along with flour. 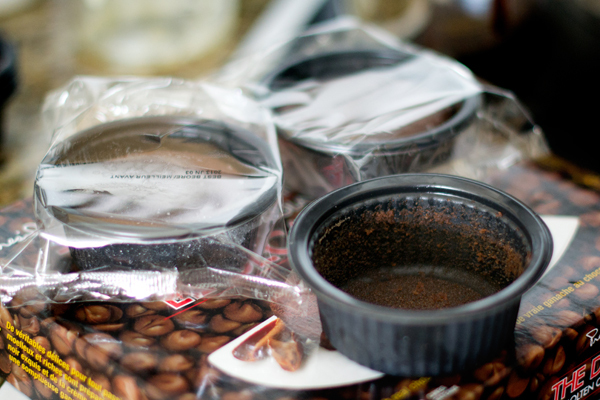 Pour into 6 non-stick buttered molds of non-stick muffin tins. bake for 5-7 minutes or until edges are just cooked and centre is still liquid. Cool for 5 minutes in tins. Carefully remove to serving dishes, Serve with lightly whipped cream. Both of the store bought, frozen versions (President’s Choice and Sensations by Compliments) took longer to bake (15-17 minutes) because they were previously frozen but the preparation involved with the homemade version definitely takes longer than that (I would estimate around 30 minutes, plus you have to pay attention). Baking them off only takes 5-7 minutes though. They all looked equally attractive once they were baked so it really was a matter of taste when deciding which lava cake would come out on top. Both of the frozen lava cakes tasted very similar to each other. An interesting note is that we were all feeling really full after tasting the lava cakes. I looked on the package and saw that each lava cakes is approximately 400 calories! That’s close to the amount of calories that some people have in an entire meal! This is definitely a ‘once in awhile’ dessert (or meant for sharing). « Bosc, Bartlett, Anjou and Red	» Molten lava cake – is it worth making from scratch?